In a seller�s market, the competition for houses can be fierce. Many sellers will turn down any offer they receive that has a contingency clause (for example, a clause that states the offer is contingent on the buyer selling their own house). This can be problematic for the buyer who does indeed have a house to sell. 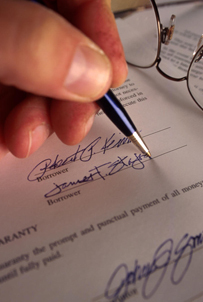 Typically a bridge loan is structured as a one year loan. The bridge loan pays off the buyer�s first house with the remaining funds, minus closing costs and six month�s of interest, going toward the down payment for the new house. A bridge loan can help you make a competitive offer on a property even though your first house has yet to sell. If you�d like this extra bit of negotiating leverage, lets get together to talk about your options. Let me know a good time to contact you. I look forward to helping you!